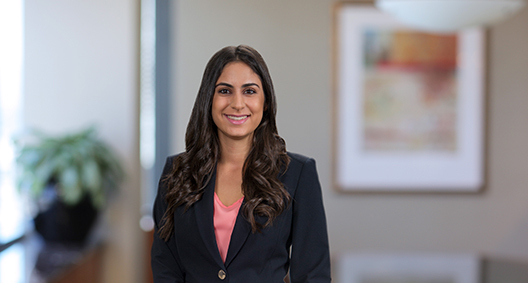 Nilou Massachi focuses her practice on data privacy, data protection, cybersecurity, and consumer protection law, advising clients on compliance with federal and state privacy laws and digital advertising regulatory programs. She also counsels clients on how to respond to security incidents, including addressing notification obligations and regulatory investigations and developing incident response plans. Her experience includes substantive research and analysis on and application of data privacy laws, including the California Consumer Privacy Act (CCPA), the California Shine the Light Act, the California Online Privacy Protection Act (CalOPPA), the Video Privacy Protection Act (VPPA), and the Children’s Online Privacy Protection Act (COPPA). Nilou draws on her experience to advise clients on preparing for the CCPA, as well as other potential state and federal laws that require greater transparency and choice, working collaboratively with clients to design and implement information governance and privacy compliance programs. Counsels clients across a variety of industries on compliance with requirements set by self-regulatory programs, including the Digital Advertising Alliance’s enhanced notice requirements for precise location and cross-device interest-based advertising. Advises clients on advertising laws, e-commerce platforms, and data collection practices across a variety of technological mediums. Represents clients on a diverse set of litigation matters, including drafting and analyzing a variety of pleadings while conducting research on a diverse set of commercial litigation issues.